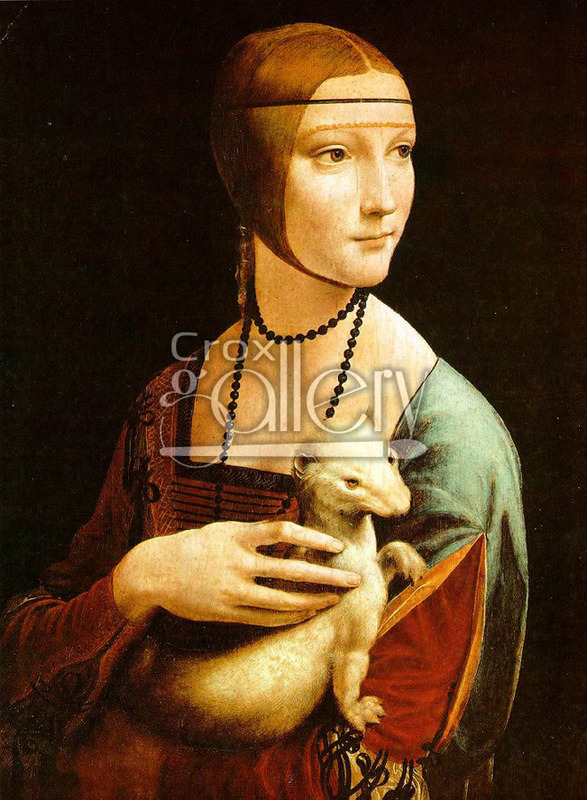 "Lady with an Ermine" by Da Vinci, Oil Painting Reproduction. 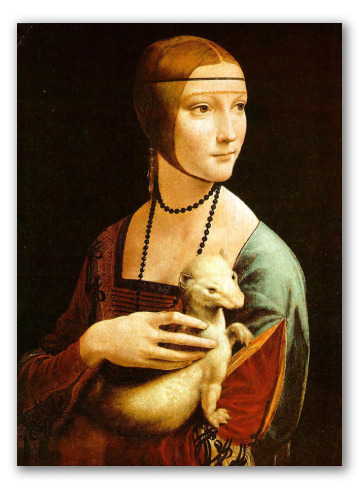 Lady with an Ermine portrays a woman and her pet. It was painted by the great artist Leonardo Da Vinci.